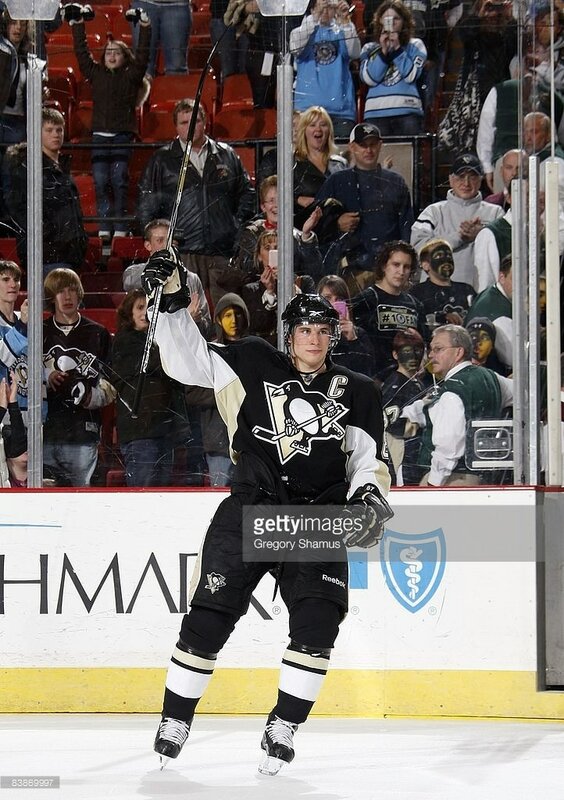 worn during the 2008-09 stanley cup championship season including his 2nd career hat-trick on november 29, 2009 vs. new jersey. 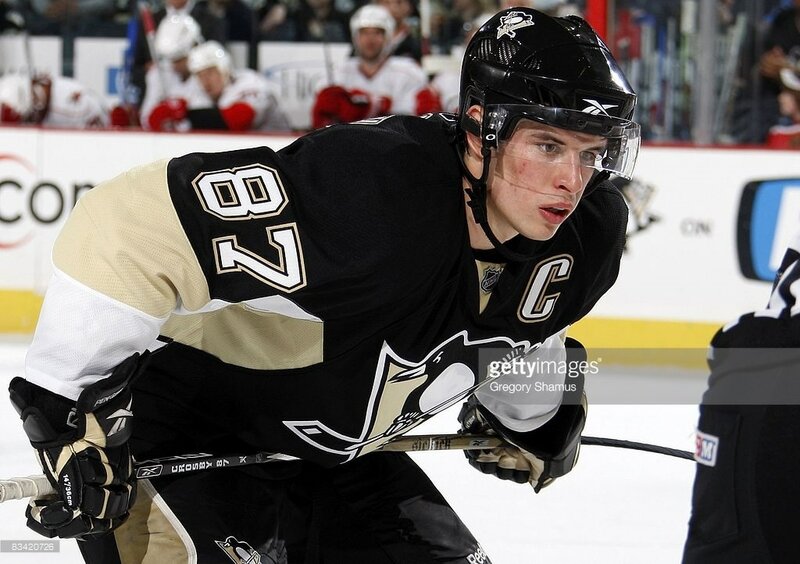 OctSidney Crosby captained the Pittsburgh Penguins to their third Stanley Cup championship in franchise history during the 2008-09 NHL season. 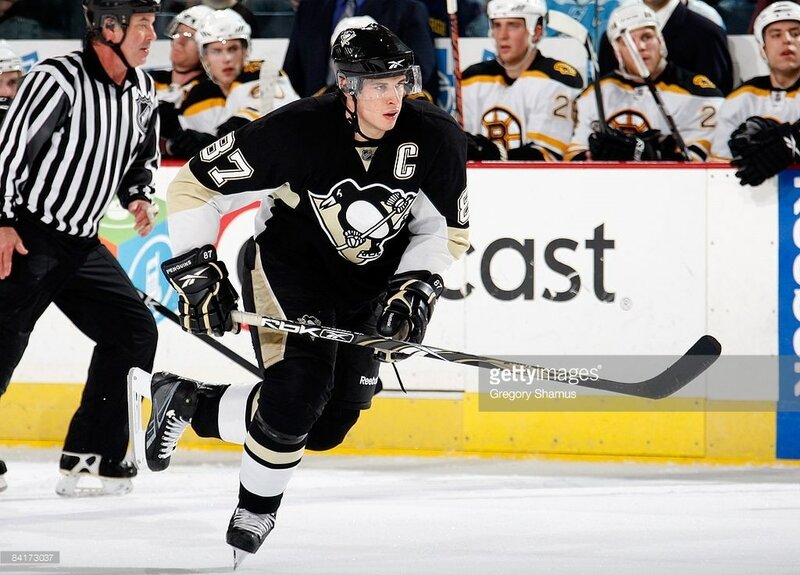 He became the youngest (21-years old) Captain in National Hockey League history to lead his team to the Stanley Cup. 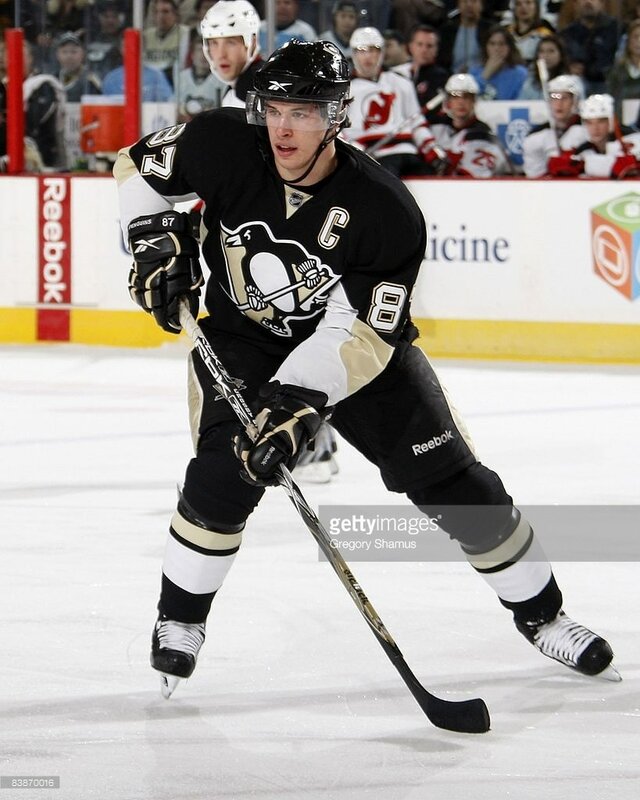 His 103 points allowed him to finish 3rd in the NHL scoring race while his 70 assists was second only to teammate Evgeni Malkin's 78 helpers. 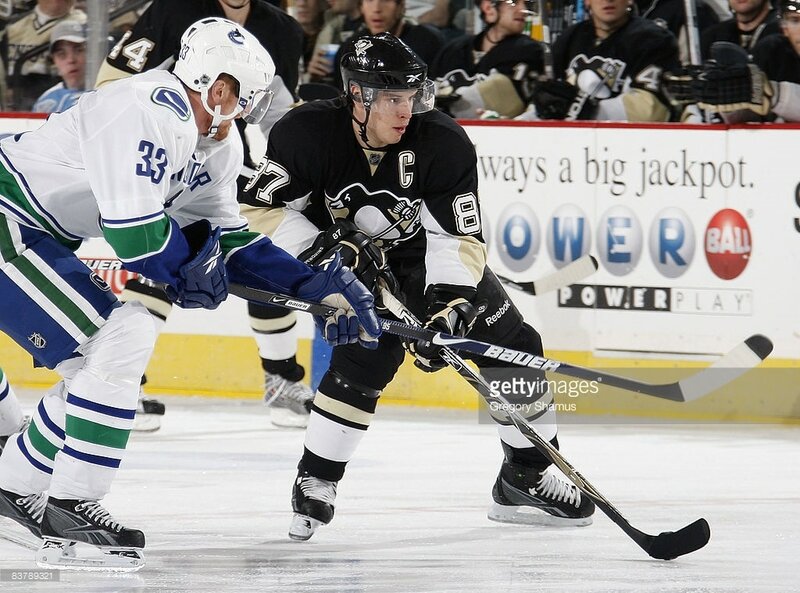 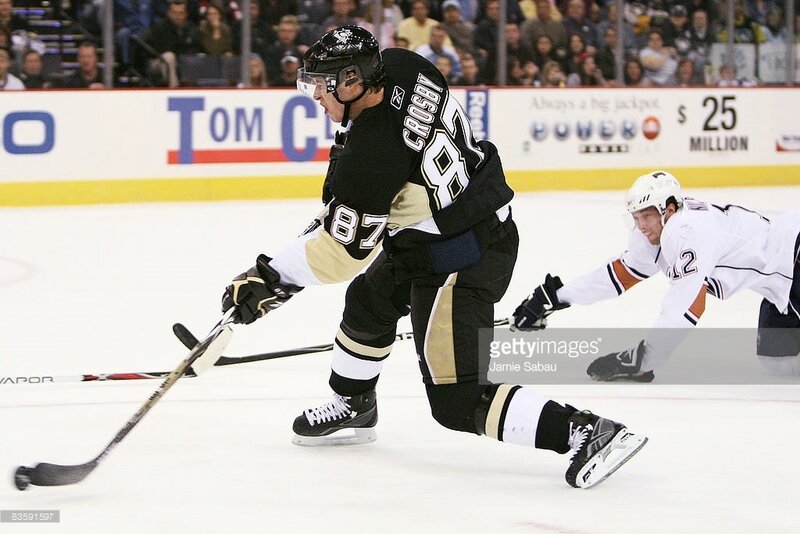 From March 5th at Florida until April 1st vs. New Jersey, Crosby went on a 12-game point scoring streak in which he scored seven goals and 13 assists for 20 points over that span. 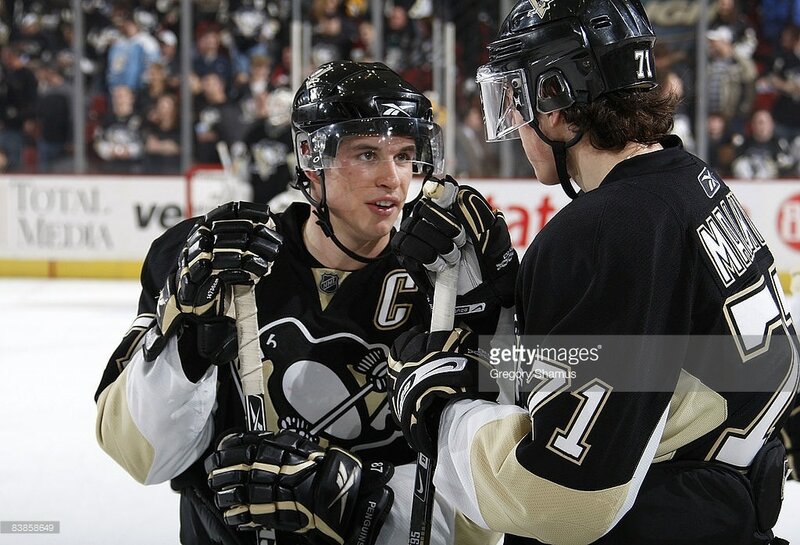 In the Stanley Cup Playoffs, Crosby scored a league-leading 15 goals and second-best 31 points to teammate Evgeni Malkin's 36 points. 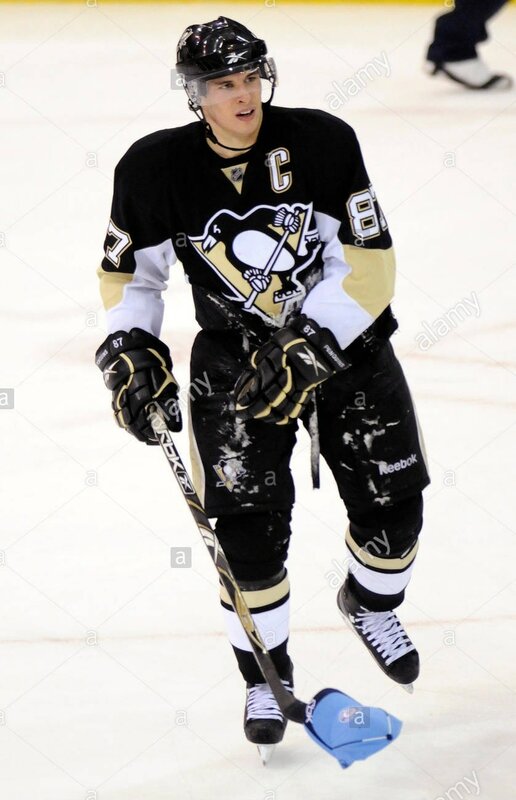 Crosby was named the NHL's Player of the Week for the week of November 24-30 after totaling nine points (6G, 3A) in three games during that span. 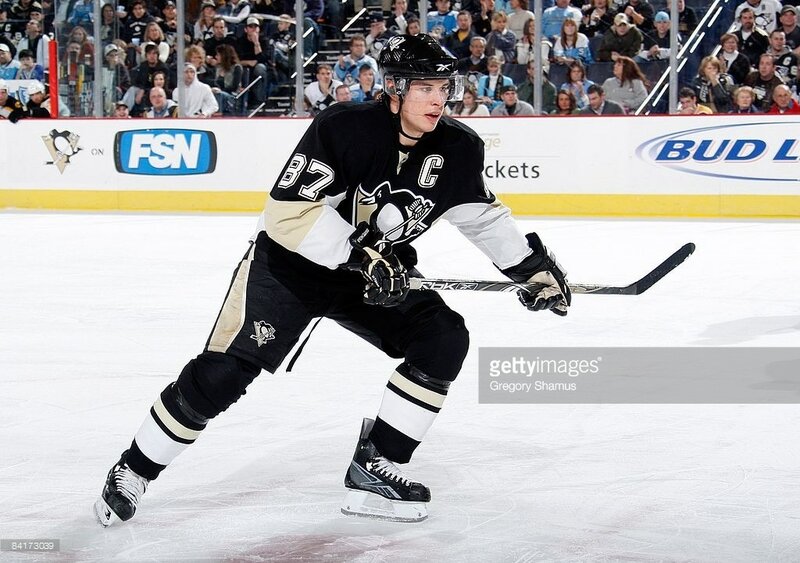 Crosby achieved the 100th career point, 200th career assist, and 300th career point milestones on October 18th vs. Toronto at Mellon Arena. 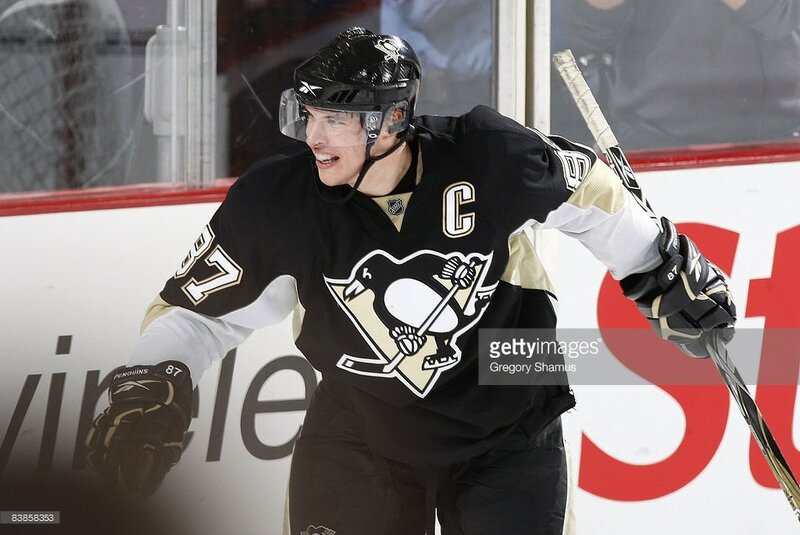 On November 29th vs. New Jersey he scored his second career hat-trick with his 11th, 12th, and 13th goals of the season. 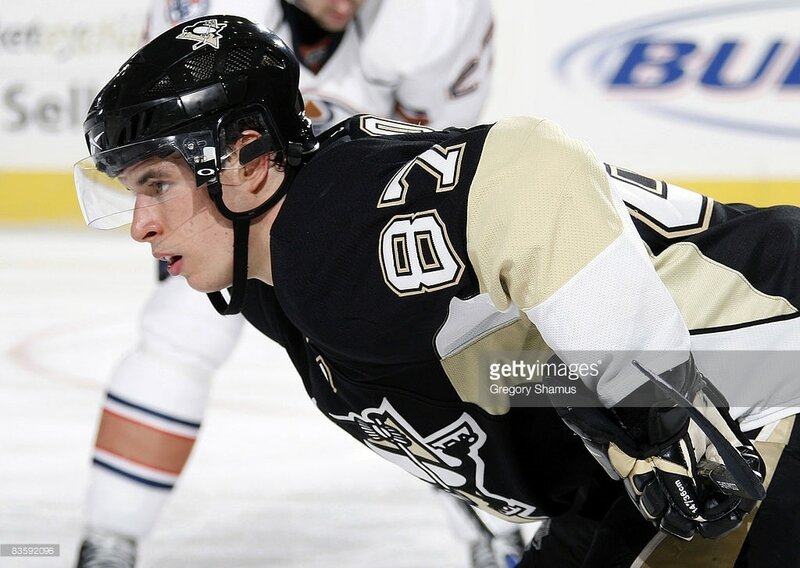 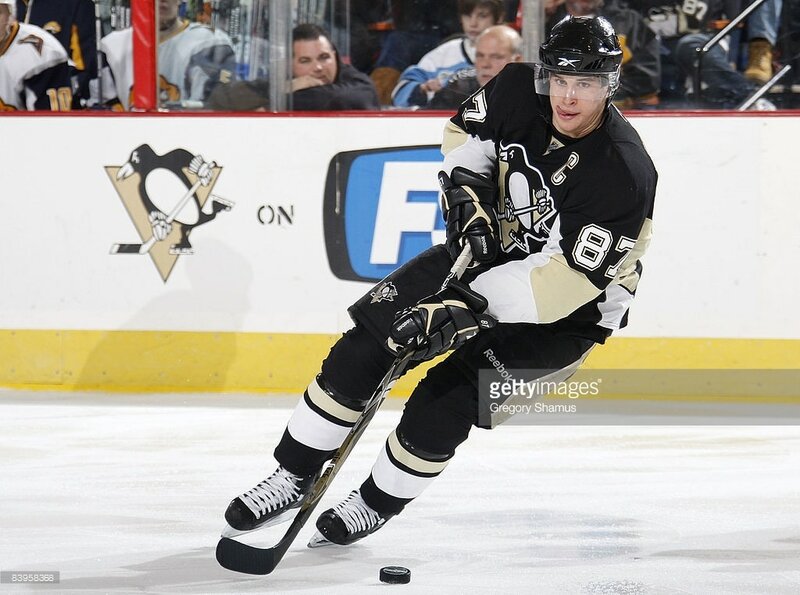 Crosby also added an assist that night for a four-point game, one of five 4-point games during the 2008-09 season. 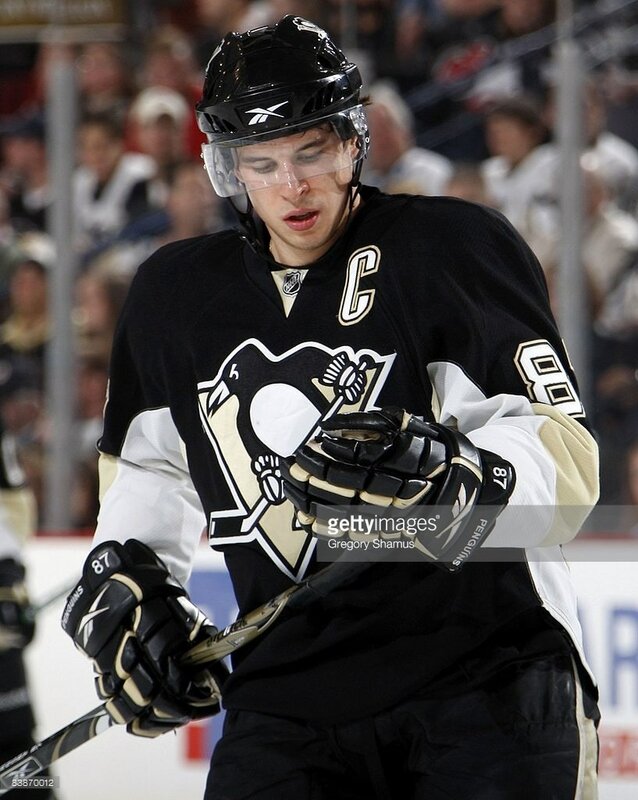 This jersey was worn by Sidney Crosby during games in October, November, and December 2008 at Pittsburgh's Mellon Arena including on November 29th vs. New Jersey when he recorded his second career hat-trick. 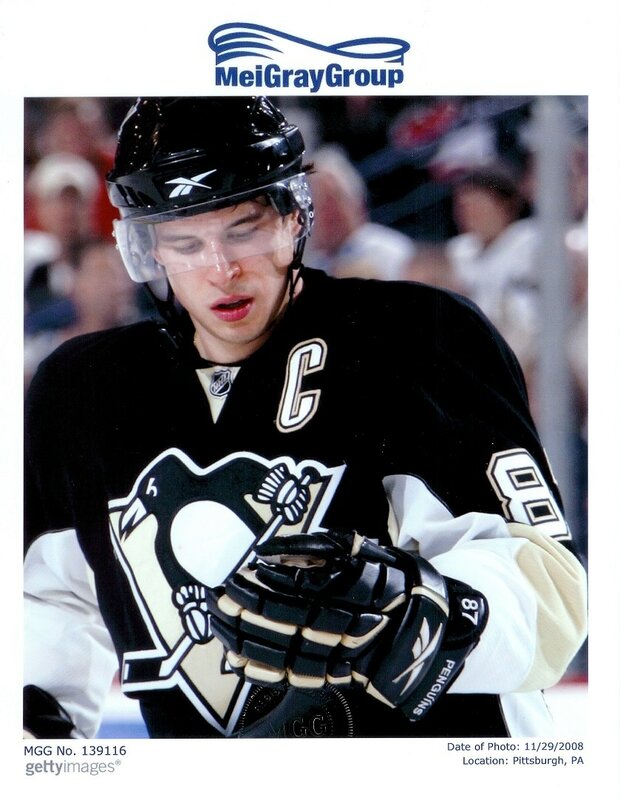 The jersey was acquired by PenguinsChronicles.com from Classic Auctions' Historical Hockey Memorabilia Auction October 2016 on March 20, 2017. 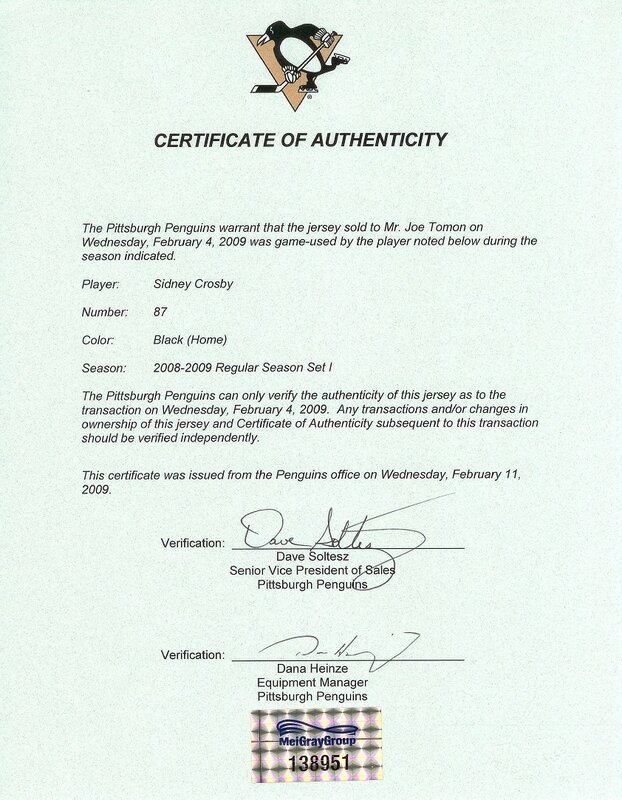 The jersey, as part of the 2008-09 1st set of jerseys, was originally sold by the Pittsburgh Penguins to J&J Distributing on February 4, 2009. 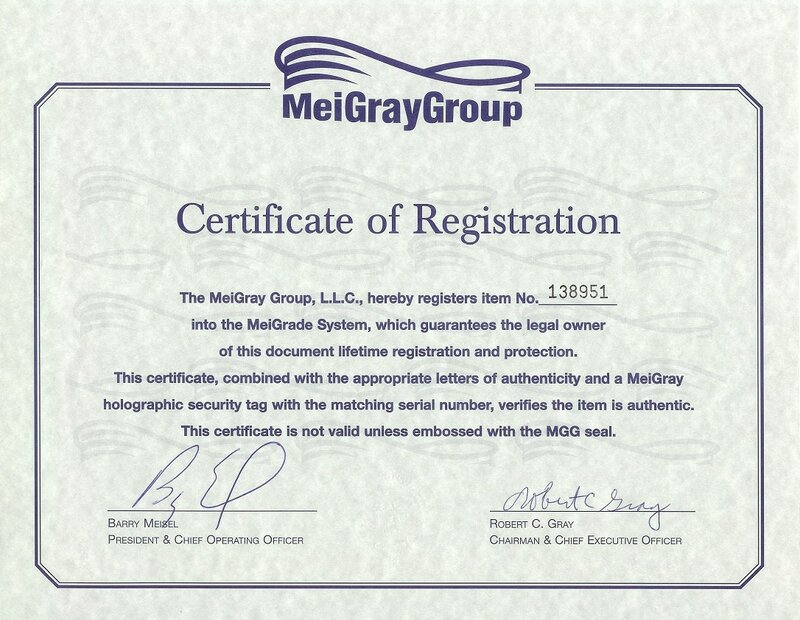 The jersey is accompanied with a Certificate of Authenticity from the Pittsburgh Penguins and is registered into The MeiGray Group, L.L.C. 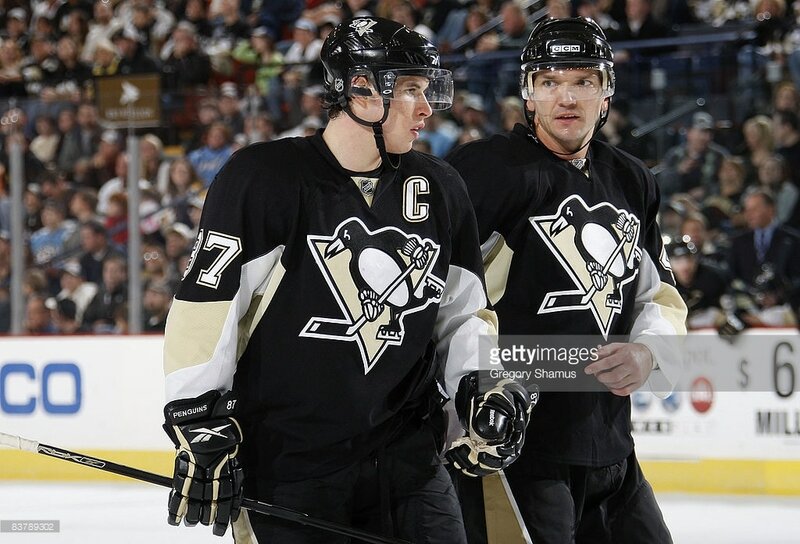 's MeiGrade System as No. 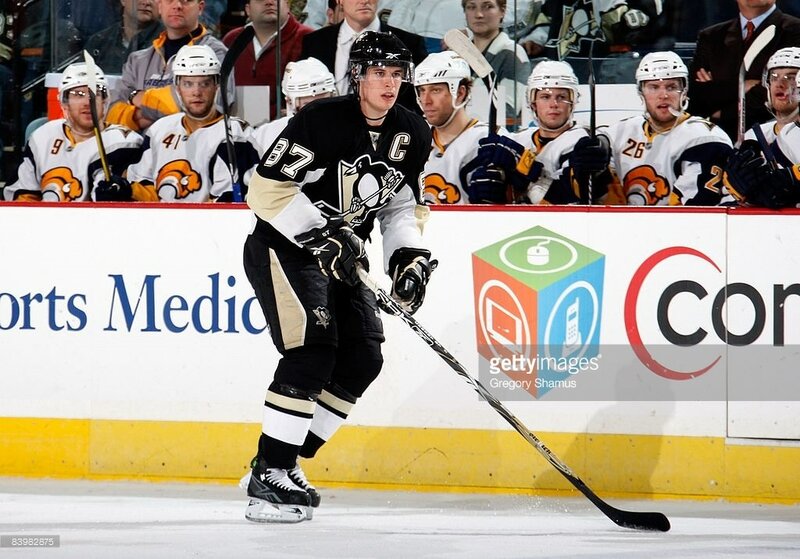 138951.